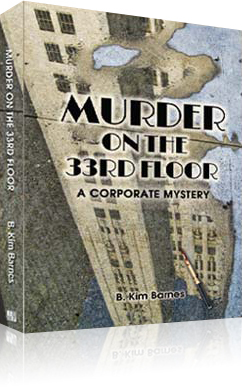 As an author or co-author of a couple of business books and many chapters, articles, and white papers on professional topics, I am sometimes asked, “Whatever made you want to write a detective story?” I suppose I could answer the question in a number of different ways, but the main reason, as you can see in my short bio, is that I have always thought of myself as a Nancy Drew wannabe – she was my avatar. I have always thought of the role of the organizational consultant as analogous to that of a detective. I’m sure that my early love for fictional detectives like Nancy Drew and Sherlock Holmes put me on the path to becoming first an internal and then an external consultant. Both detectives and consultants need to listen more than they speak. They need to observe and gather as much information as possible before coming to a conclusion. Internal consultants, in particular, often have a great deal of background information about individuals, teams, and business units that can help them make sense of events that might otherwise seem strange and mysterious. Taking the role of “internal organizational detective” means that you.